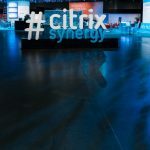 At Synergy 2017, Citrix announced a series of new features for its XenApp, XenDesktop, and XenServer solutions. Here’s some more information from Citrix about the specific updates. Many of the new features deal with improving the XenApp and XenDesktop experience across different devices. For example, virtual desktops on XenDesktop for Windows 10 now automatically toggle between tablet and desktop mode when users connect and reconnect on different devices. There are also new User Layers that allow employees to install their job-specific applications and plugins on pooled desktops. So you can let them personalize their desktops while simplifying the administrative process. And there’s also a new generation of Citrix HDX Ready Pi, now optimized for Skype for Business video and audio calls. XenDesktop 7.14 uses patent-pending technology from XenServer 7.2. This is the only VDI platform to enable the Windows Continuum experience on any device with a virtual Windows 10 desktop. XenApp and XenDesktop 7.14 offers license-type flexibility and the ability to combine different license types within a single site. This can help users reduce infrastructure costs, minimize operational overhead, and simplify migration from older platforms. There are also some integrations that can simplify the process for users as well. For example, there’s now support for XenApp, XenDesktop, and NetScaler running on Citrix XenServer on the Nutanix Enterprise Cloud Platform. And XenApp and XenDesktop now support non-GRID Nvidia GPUs, in addition to the Nvidia GRID GPUs that were already supported. There are some other new features as well, like Citrix Director 7.14, which offers greater visibility into XenApp and XenDesktop site performance, the ability to schedule snapshots, and Citrix Management Solutions for OMS. And finally, the new updates also include some security features and upgrades. For example, XenApp and XenDesktop now support the security enhancements of Microsoft’s Credential Guard, which is designed to protect your domain credentials from attacks. You can also securely launch existing apps and browsers on Windows 10 S and find application security risks using AppDNA.